Our goods that we sell come with guarantees that cannot be excluded under Australian consumer law. You are entitled to a replacement or refund for a major failure and compensation for any other reasonably foreseeable loss or damage. When you purchase a Kaffeina machine, you will also receive the benefits from the Kaffeina warranty, which is for one year. 1. Should your product be defective, you can make a claim under the Kaffeina Machine warranty policy. 2.1. The goods will be of acceptable quality. 2.2. The goods will be fit for a particular purpose. 2.3. The goods will match their description. 2.4. The goods will match the sample or demonstration model. 2.5. You have title to the goods. 2.6. You have undisturbed possession of the goods. 2.7. There are no undisclosed securities on the goods. 3. 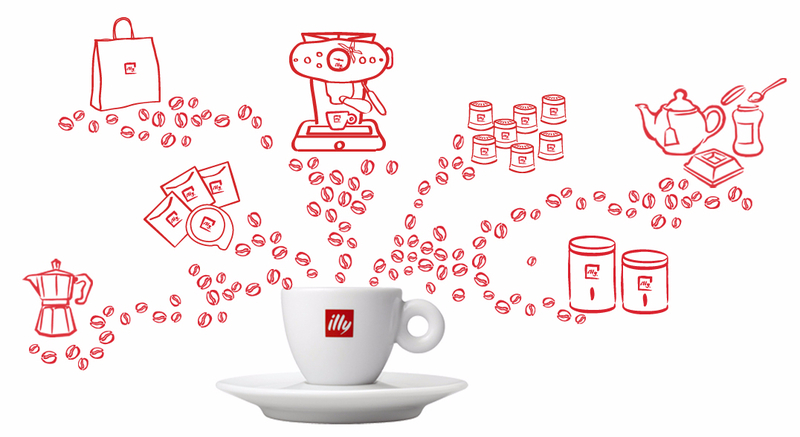 For illy or MITACA machines, in addition to the above, we also guarantee that we will provide repairs or spare parts for a reasonable time and that we will honour the illy warranty. 4. If a product fails to meet a consumer guarantee, the remedy you are entitled to under Australian consumer law will depend on whether the failure to comply with the guarantee is major or minor. 5. Minor failures can be fixed or resolved in a reasonable amount of time. In this case, the retailer who sold you the machine or the manufacturer of the machine can choose to offer you a refund, replacement, or repair. If the retailer or manufacturer does not fix the problem or takes too long, you may be able to get it fixed by someone else and recover the costs from the seller depending on the circumstances. 6.3. Keep the product and ask for compensation for the drop in value caused by the problem. 7.1. You would not have purchased the product if you had known about the problem. 7.2. The product is unsafe. 7.3. The product is significantly different from the description, sample or demonstration model you were shown. 7.4. The product is substantially unfit for its normal purpose and cannot easily be made fit within a reasonable time. 7.5. The product does not meet the specific purpose that you told the supplier about, and cannot be easily rectified within a reasonable time. 8. The remedies listed above are not available if you have caused the problem by being careless or misusing the Kaffeina machine or have not followed our instructions. The Kaffeina warranty will not cover defects caused by a non-genuine Kaffeina capsule or resulting from accident, misuse, improper maintenance, or normal wear and tear. 9. For information on Australian consumer laws, please visit the Australian consumer law website at http://www.consumerlaw.gov.au.